The strategic decisions you make at the beginning of a process improvement project can position you for success, so make sure you are making the right decisions. Maker’s Mark, a company that distills Kentucky Bourbon, recently announced they were watering down their brand – literally. They planned to lower the alcohol content in their whisky from 90 to 84 proof by adding water. Maker’s Mark explained that as they moved into new markets, production couldn’t meet increased demand. Whisky is not like a manufactured widget. You can’t ramp up production as demand increases. Whisky is aged in barrels before it is bottled. In the past, whisky makers have added water to lower alcohol content, increasing production. Rival Jack Daniels watered down its black label Tennessee whiskey (Maker’s Mark names their product minus the “e”) a few years ago. So did Maker’s Mark fail to plan for current market needs? Was it just a plot to cut costs, or, as some suggest, was it just a ploy to get good press? Improving production doesn’t have to mean changing your process. Photo by http://www.colourbox.com. After Maker’s Mark announced the change, customers’ blogged, tweeted, ranted and wrote. Within a few days, Maker’s Mark reversed the decision. They credited their customer’s passion and reiterated their intent to serve their audience. It turned out to be a marketing and PR windfall for Marker’s Mark, as engaged and passionate customers flocked to the brand to applaud the decision. They broke a marketing rule (stick to your messaging and never admit a mistake) and ended up finding success. If customers hadn’t complained, the company would have had more bourbon to sell, but since they did complain, they gain increased customer loyalty. Noted Marketing Strategist, author, and social media speaker David Meerman Scott didn’t want to comment on the controversy, other than to say that Maker’s Mark customers’ opinions counted more than his. Scott’s concept of using current events and social marketing to drive business is groundbreaking. The truth is, Maker’s Mark creatively and proactively solved a production headache by strategically positioning a process change rather than forcing it. As a result, they are positioned for future success. So what does this mean for your shop floor? What can you do to increase production, position yourself for success and deliver positive results? Right now, you are making something. Materials are becoming assemblies and parts are shipping. Unlike a distillery, watering down your production line is not an option. You can’t just substitute a cheap aluminum bolt for a titanium bolt and hope it holds. Tolerances are tight and sacrificing safety is not an option. So if you can’t add water, what process adjustments can you make? One option is to shorten the process time – rather than removing steps, sacrificing safety, or creating a new process. Retooling your operations to accommodate a new process is rarely worth the investment in time and effort. It would be like Maker’s Mark announcing they were no longer using charred white oak barrels to slow age the whisky, but were implementing a new chemical process. They might get similar results, but imagine the retraining necessary for employees and the social media outrage! A paperless (electronic) manufacturing system not only drives process improvements, but increases production by improving the flow of data on the shop floor. Visual work instructions, real time quality checks, and procedural enforcement are all benefits of paperless manufacturing that improve production without sacrificing quality or safety. Paperless manufacturing is also a solution with numerous benefits (none of which involve watered down bourbon). Involve your shop floor in process improvement planning, and respect the processes they have in place. Photo by http://www.colourbox.com. Once you have a production solution, the next step is planning the rollout. Any system you implement will need to be accepted on the shop floor. The only way an electronic paperless manufacturing system is going to find acceptance with minimal resistance is by respecting the current processes. Integrating current processes will also save on training time, and drastically reduce or eliminate downtime. It makes sense not to “fix” what isn’t broken. At CIMx, we’ve designed our paperless manufacturing system around these ideas. Strategically implement the changes that make sense, and don’t force new processes. Focus on improving your process with tools that help you work faster, easier, and result in fewer errors. This is the center of our guaranteed Process Retention Plan. Maker’s Mark knew significantly changing their process wasn’t an option. Some potential solutions wouldn’t be accepted by their customers. Struck with a Public Relations nightmare, they proactively listened and turned a nightmare into a tool they could use. If you want to improve production, consider using what you have currently, what builds your products today, and eliminate the wasted time around steps without adding more problems and complexity to the system. Significant improvements don’t require significant investment, and process improvement doesn’t mean you need a new process. Break the rules! There is no need to redesign your floor or redo your process. 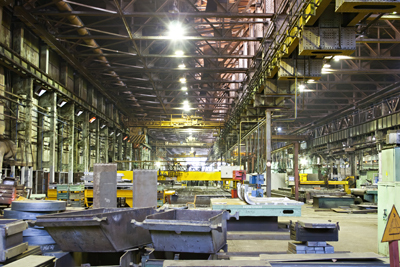 When there are challenges to overcome, don’t water down your manufacturing or force a new process, instead roll out a plan to engage your shop floor to solve those problems by offering them the tools that make business sense.